I’ve had a lot of conversations recently with white men doing anti-oppression work, and what they seem to struggle with most is a solid foundation. 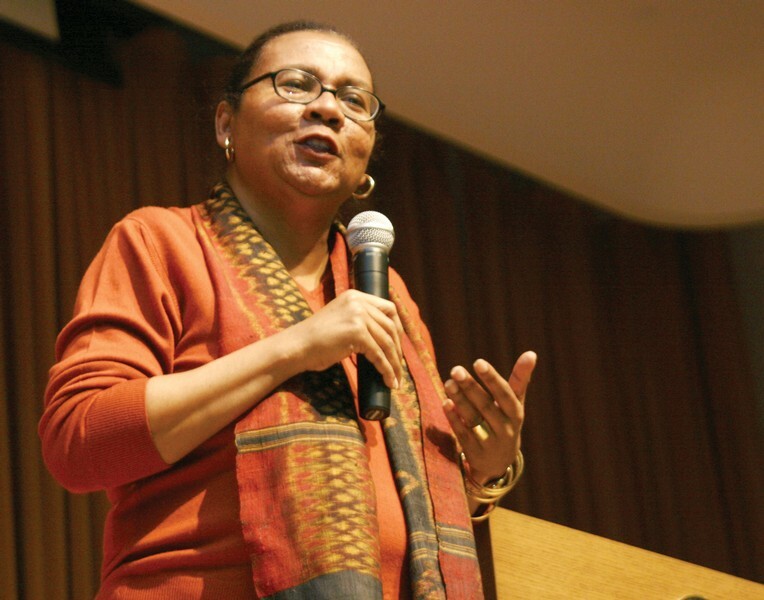 As cliche as it sounds, bell hooks has been an important teacher in my life, and I’d like to start my contribution to this blog with a powerful lesson I continue to learn from her, and that she has regularly returned to. Not only has her work on love and belonging been important to many, I also believe that this is a critical foundation for anti-oppressive political projects of all kinds – this blog included. Now, I realize that you may have just read that statement and wondered how talking about masculinity is an “anti-oppressive political project,” so let me explain that before I get any further. Talking about masculinity is like the first two rules of Fightclub; just don’t. The silence is where the power comes from, because like a house of cards, even looking at it hard will knock it down. Masculinity is both a name for a male experience and a concrete illusion that is defined, not so much as something, but as the absence of something else; female-ness. The concrete part is what you have to perform to be valued. The hard part is that this isn’t really you, it is impossible to do it perfectly, and because you’re competing to do it better than everyone there is a price to pay when you make mistakes. However, before we do that important work, we need to remember that if we are going to do what is likely to be difficult, or even painful, we have to stand on a solid foundation. Many different caring professions have conversations about “self-care” or what Lipsky calls “trauma stewardship.” This political work shouldn’t be any different. As Kilmartin offers with “Guy Fi,” and Kaufman and Kimmel demonstrate with A guy’s guide to feminism (2011), balance is not only what helps us keep going, but makes us effective as well. In one of my favorite pieces, Bernice Johnson Reagon talks about the difference between coalition and “home” and knowing the difference. Knowing where your “home” is, the place where you feel loved and supported is just as critical as any change work you do in coalition. Without love and belonging, it is not a question of if, but when, you’ll be emotionally exhausted. I don’t know about you, but I don’t get much done when I’m exhausted. I find my place of belonging with a very select few people who are family to me. Frankly we often don’t agree, and with Thanksgiving and Christmas going on we may not again (seriously, I am very thankful and the food is great, but three words: smallpox blankets & materialism), but those disagreements are secondary to love. Those tend to be the people I share my hobbies with; together we do things that provide physical, mental, and spiritual exercise. We aren’t doing “critical work” on anything but celebrating each other; and that helps me celebrate and appreciate me. That is all I truly bring to social justice, and given the stakes it has to be powerful. What do YOU do to make sure you have a solid foundation? Have favorite self-care technique to share? Or maybe your reflections on how you create a home for yourself – your badass activist/scholar-self? My next post will be about some of what many of us negotiate as we challenge patriarchy’s gender norms. In the meantime, please share your thoughts, because we can’t do this alone and I sure don’t have all the answers. Thanks for stopping by!